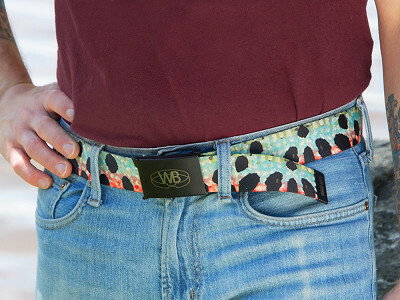 Made in the USA with prints designed by American artists, these outdoor belts stand out while they stand up to the elements. Maker Ted Upton’s idea was to add a vibrant edge to active belts—and keep them as tough as they are good-looking. Wingo Belts resist abrasion, water, corrosion, and odor while giving your active undertakings some flair. With designs ranging from intricate fish scale patterns to nature prints, each one is a little, personality-rich work of art. They come in a single size—you cut and heat seal it for a custom fit. 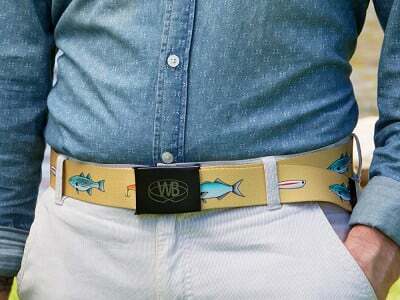 And each belt has a buckle that conveniently doubles as a bottle opener. 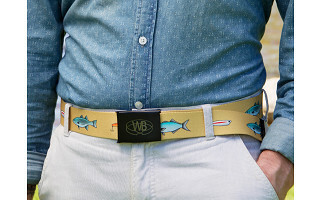 Whether you’re a hunter, hiker, survivalist, or just an all-around outdoor enthusiast, this American-made belt keeps up. Hello everyone! I'm proud to introduce Wingo Belts to The Grommet. I'd be happy to answer any questions you may have! These look great! Are they easy to resize? I am a 33" waist. @Cody thanks for question. Very easy to resize. The buckle is detachable, so you just take it off, cut webbing to fit with sharp scissors, and then re-attach buckle. Whole process takes about a minute. Hi! Are the buckles nickle free? @Charmiane No, the buckles are nickel-plated steel to help with corrosion. Great price! Awesome to see that they're made in the USA. These are really cool! Any plans to add designs...like maybe horse/ranch theme? The ranchers of the south would enjoy them. @Susan thanks for the comment! Great idea. We don't have plans to add more designs this summer, but horse/ranch is definitely something for us to think about for holiday. One of the advantages of making the product in the USA, and working with local artists, is that we can bring new designs to market with relative ease. Thanks for the feedback! 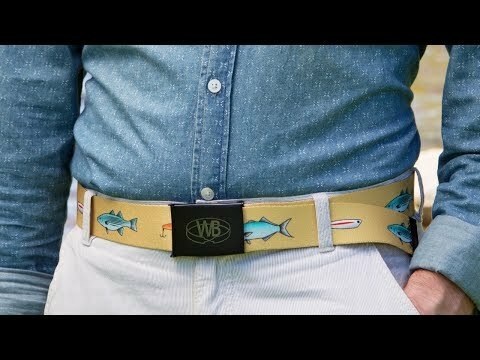 Would have any belts with sailboats? @Jill thanks for the question! 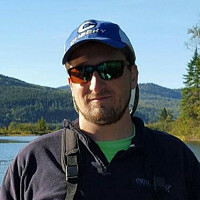 We don't have one with sailboats right now, but we do have one with a skiff available here: https://www.thegrommet.com/wingo-belts-nature-print-webbed-belt. It's called the Charleston.